As one of the original members of the Wrangler Band, Ron has over 30 years of musical experience under his belt. His command of several different instruments along with his versatile music interests combine to form his intense style of guitar picking and singing. Ron is also an avid song writer. 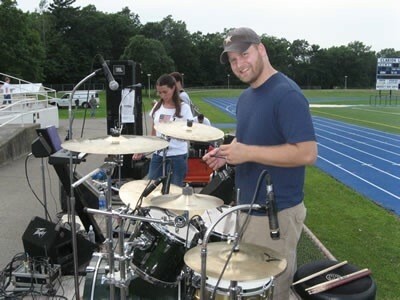 He wrote several of the songs that the band recorded on their latest CD entitled, “Long Time Coming.” Most recently, he utilized his talents of songwriting, performing, and recording with a christian rock band during a studio project. 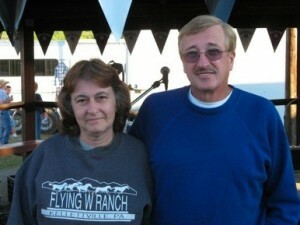 Randy is one of the Wrangler Band’s founding members. He is well-versed in several styles of music including country, classic rock, 80’s, blues, and many other styles of music. He has also written several original songs that appear on the band’s CD. He has worked on recording projects with many bands and completed a tour in Germany in 1994 as opening act for the German entertainers of the year, the Hillbillies. Currently he performs with a classic rock/blues band in the Clarion area, as well as performing with the Wrangler Band. 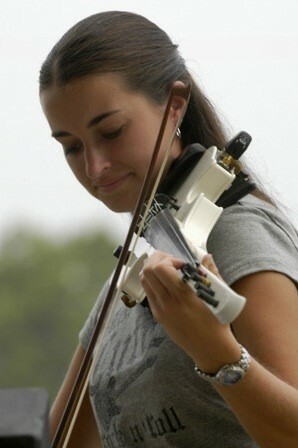 Christy has been playing the fiddle from the time she was 6 years old. Since the start of her fiddle playing, she has won numerous trophies in fiddle competitions throughout Western Pennsylvania, Ohio, and West Virginia. The late Boxcar Willie had given Christy an open invitation to his theater in Branson, Missouri where she performed with him on stage. During college, an internship was completed at MCA Nashville in Tennessee. 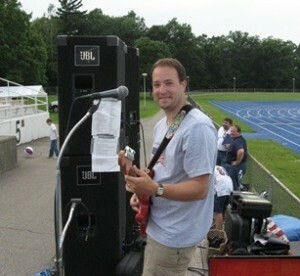 Dave has been with the Wrangler Band for several years. His music degree from YSU has prepared him to play a wide-variety of music, ranging from classical and jazz to country and classic rock. 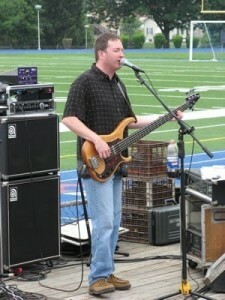 He has also played on several recording projects. As well as performing with the Wrangler Band, he is a member of a house band in a local church that performs on a weekly basis. Roy and Ann, the parents of Randy, Ron, and Christy, have been running the sound board and light show since the band’s inception. As a matter of fact, they are the original founders of the band. Check out the photo in the about section of the site to see one of our first-ever gigs!